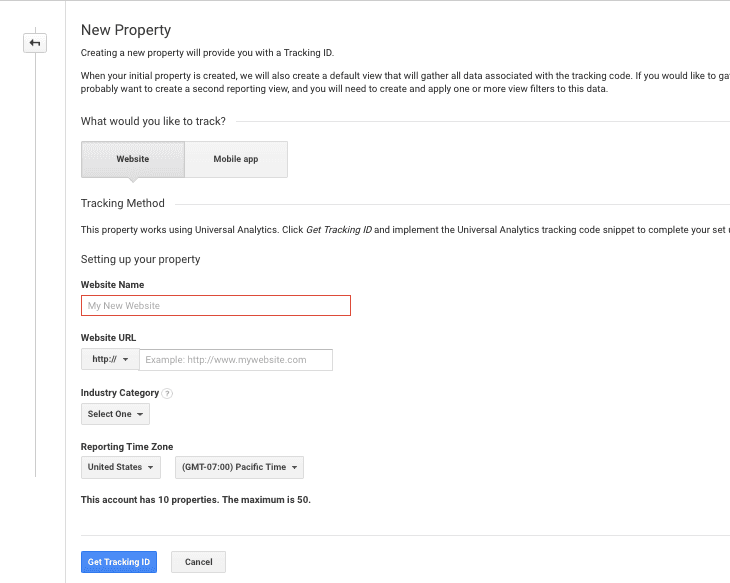 Home / Analytics FAQ / How to add a new website to Google Analytics? There are two ways of adding a new website to Google Analytics. First is by creating a completely new Google Analytics account and second is by creating a new property in an existing analytics account. Below are both the ways explained. Follow the steps below to add a new website. When you add the details click on Get Tracking Id, you will see the new Google's global script. copy the global tag and paste into the head section of all your website pages. 4. Once you add the code, you will have to verify the code is working properly. you can use Google tag assistant or send test traffic to verify the setup. Step2: Click on the admin button located on the bottom of the left menu. Step5: Fill in the website details and click Get Tracking Id button. Step6: You should then see the tracking code. Copy and paste into your website. Congrats! You have successfully added a new website to google analytics. Once you add a new website you can easily delete the property anytime.